They say imitation is the best form of flattery. If that’s the case, then the launch of the new Instagram Stories feature is less of a direct attack on Snapchat and more of an industry fist-bump for a job well done. Instagram CEO Kevin Systrom is credited as saying Snapchat deserve “all the credit” for Stories, which is hardly surprising given how closely the feature resembles Snapchat’s Stories function. Still, I guess all’s fair in love and war… and now too, it would seem. midnight, ready for you to start over again when you wake up in the morning. More good news: all Instagram accounts will be able to share Stories, from your best friends to your favorite accounts. Stories will appear in a bar at the top of your feed, and when there’s something to see their profile photo will be circled by a colorful ring. Goodbye information overload, hello . To view someone’s story, you simply need to tap on their profile photo, and their story will appear full-screen, showing you all of the content they’ve posted in the last 24 hours. The content will play in chronological order, from oldest to newest. Once you’re viewing an Instagram Story, you can move backwards and forwards or swipe to jump to another person’s story. But egomaniacs, beware: unlike regular posts, there is no space for likes and public comments here. rolling out globally on iOS and Android over the next few weeks. And while some users have the feature available right now, others may have to wait a little longer to get up and running. Live in the moment, people say. Well, now you can do so through two platforms. #fulfillment.
. 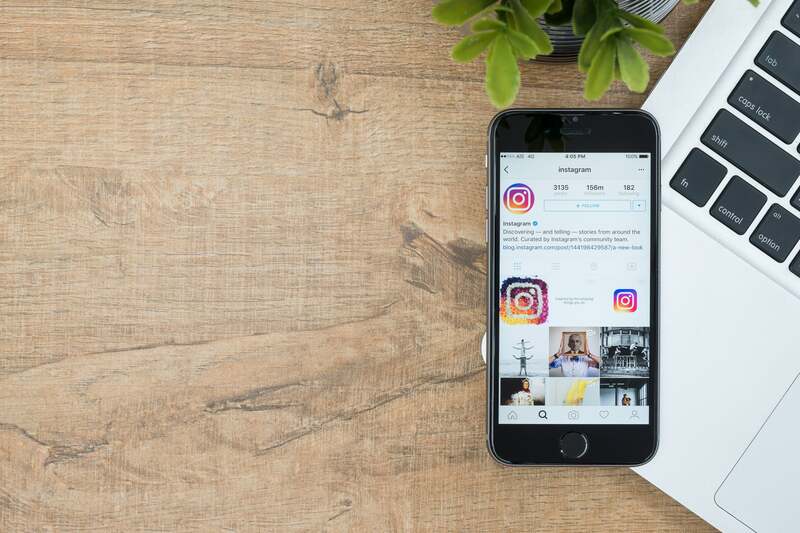 Businesses have been sharing their products and services in image form as part of the Instagram community, since the now Facebook-owned company was set up in 2010. In addition to the new Stories feature, Instagram has launched three new business tools to help its 200,000 advertisers grab the attention of the 300 million people searching for content every day. But if all of the hype about Stories still sounds a bit Derek Zoolander and Blue Steel to you, here are my tips on how to make the most of your business story. If Instagram has become a place for polished, preproduced photos and video, then Stories is a way of adding authenticity to content. It is the “no make-up day” to your Photoshop-ed “cover girl,” if you like. Imagine Nike posting an image of a popular athlete before revealing exclusive footage of the shoot. We’ve already seen brands using Stories to share similar content, with Pencils of Promise showing scenes from their New York office, and UFC adding a human touch to one of their athletes by sharing the food he eats during training camp. Don’t think you have to be a global brand to do this either. Stories provide a way for brands to stay top-of-mind on the platform, even if their content isn’t always at the top of the Instagram news feed. Experimentation with Stories and being a standout early adopter could help brands to get their followers paying more attention to the posts within their feeds, and boost their engagement across the platform. We’ve seen it in the physical space through various “occupy” movements where people come together to highlight issues that are important to them. Now with Instagram Stories, brands can begin to collaborate more with other . 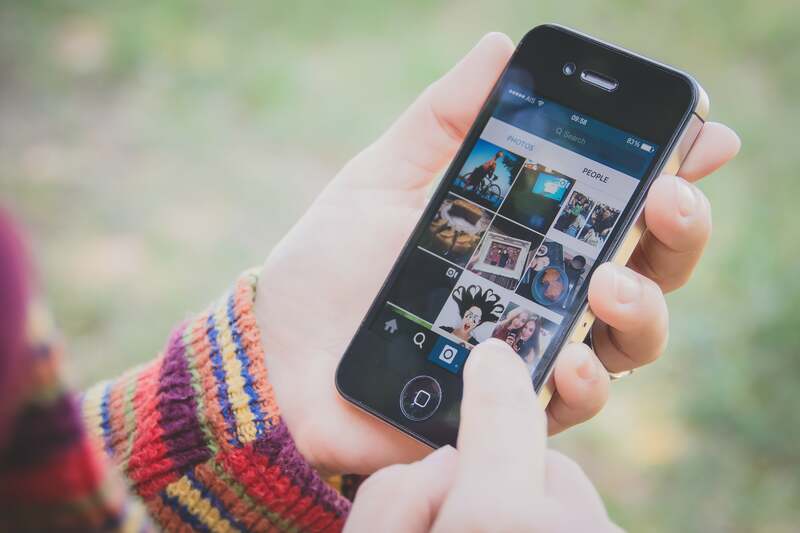 A great example could be featuring a member of your community within your Instagram feed. Once Stories opens up globally, you could share a photo from one of your community, and then allow them to jump on your Story and share a little more context about the photo or video in your feed. When social media first hit the mainstream, there was a lot of buzz and excitement about being able to talk directly with your . Stories give brands the chance to get back to the roots of social media and engage with their followers on an extremely personal 1:1 basis. We could see brands running Q&A sessions via Stories with people sending questions via Instagram Direct and the brand answering them within their Story. We could also see stories being used to send 1:1 video messages to followers. There’s a lot of excitement around live video content at the moment. Instagram Stories could give brands a new way to produce live video content on the platform. Live video is extremely engaging, and though Instagram Stories won’t allow for a long, uninterrupted broadcast like Facebook Live or , it could allow brands to make their Instagram accounts the place to go for more concise, live and interactive content. Just like many of my clients are broadcasting their key announcements on Periscope, there’s no reason Instagram Stories couldn’t be used in a similar way to these broadcasts and take users deeper into a live event as it takes place. Instagram Stories is a big move for the company, and one that could shift the platform’s value proposition enormously. Snapchat has proven that there’s a huge market for sharing fleeting, everyday moments of our lives, and if Instagram can make Stories work alongside its current offering, then this could be one of its most important to date. What are your thoughts on Instagram’s Snapchat competitor? Are you excited to test out stories? How do you think we’ll see brands using the feature? Share your thoughts with me (on Instagram, maybe?) and I’d be excited to join the conversation. Snapchatters are as committed as any social media user and have openly embraced the ability the app gives them to live in the present. As such, Snapchat users embody the that places experiences over possessions. This is evident in the amount of time they spend on the app and data usage, as well as the time invested in learning how to use the platform. With over 150 million people using the app every day Snapchat has tapped into something that people want. Interestingly, Snapchat has been making some rapid changes over the past several months, and who knows what new, attractive feature is next. But rest assured, the battle with Instagram is on. Snapchat’s app launches on the camera screen, so shooting a new photo or video for users’ story is as simple as pushing one button. On Instagram, users can access the camera for Stories by swiping left from the main feed or by tapping the plus sign in the top left corner of the app. 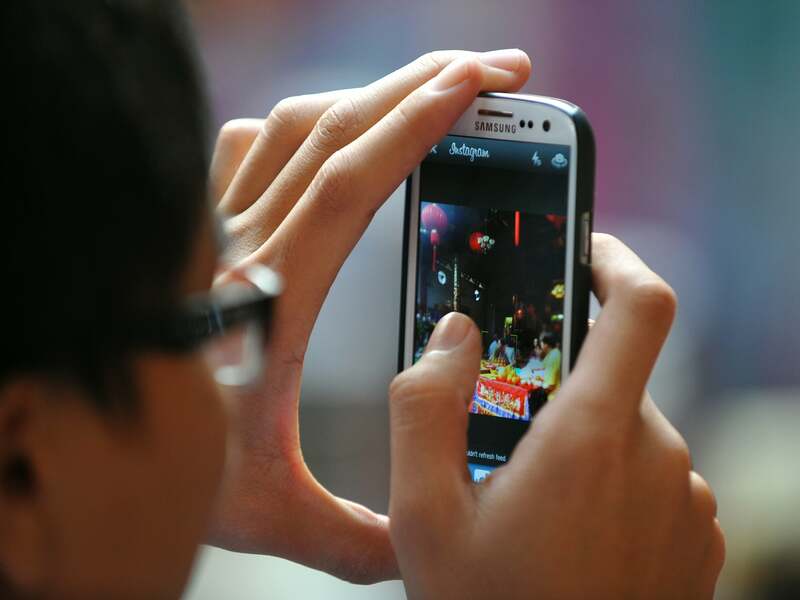 Both apps also allow users to add videos up to 10 seconds long. Instagram has wisely chosen to put their Stories front and center. All Stories appear at the top of their feed in order of which friends are closest to users, as determined by an algorithm. Snapchat’s Stories, on the other hand, are ranked chronologically, with the most recent updated at the top. One difference between the two is how users navigate between Stories. On Snapchat, tapping on the screen advances to the next snap in a Story and the next Story will automatically play after the last snap is viewed. On Instagram though, users tap right or left to either advance to the next image or go back to the previous one and swiping left takes them to the next Story in the lineup. Instagram’s drawing tools are more advanced than Snapchat’s. While Snapchat uses a slider tool to pick colors, Instagram lays out all the colors side by side. There’s also a handy tool for changing the pen size on the far left. Instagram also offers three different pen tools. There’s a pen, marker and one called neon as well. As for emoji, Snapchat’s offerings are a little more flexible. Instagram currently only allows users to add emoji via the text bar, while Snapchat lets them add emoji anywhere on an image (users can even attach emoji to specific parts of videos). Both Snapchat and Instagram allow users share old photos to a story but do so in different ways. only allows for sharing photos taken within the last 24 hours while Snapchat allows users to share anything saved to Memories. Both apps also allow users to from a friend’s story. On Snapchat, tap “chat” or swipe up on a story to start a conversation, while on Instagram users tap “send a message” or… swipe up. Snapchat and Instagram have pretty similar privacy settings available for Stories. On Snapchat, users’ choices include everyone or just friends, while on Instagram, Stories maintain the same privacy settings as the main feed (if a feed is public then anyone can watch; if it’s private, only followers can). Essentially Instagram will feel more familiar to many more people. It is certainly something I immediately felt comfortable using and felt it less ‘frictionless’ than Snapchat. This can be an advantage, and also a potential reason why Snapchat will still remain the domain of the cool kids!